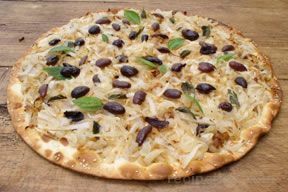 Tender roasted vegetables and the unique sweetness of balsamic vinegar provide wonderful flavor to this terrific flatbread â€“ a tasty alternative to pizza. Spray a baking sheet with non stick cooking spray and dust with flour. Unroll the dough onto the baking sheet. Roll out with a rolling pin to make it a long rectangle and slightly wider to the desired thickness. 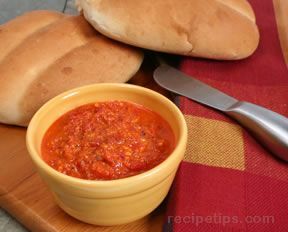 Spread 1/2 cup of the cheese spread down one half of the dough lengthwise, leaving a half inch edge around the dough. 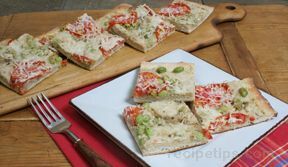 Sprinkle 1/2 cup of mozzarella cheese over the top of the cheese spread. Sprinkle on the parsley and oregano. Fold the plain half of the dough over the cheese side. Do not seal the edges. 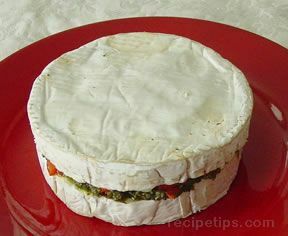 Spread the remaining 1/2 cup of cheese spread over the top. 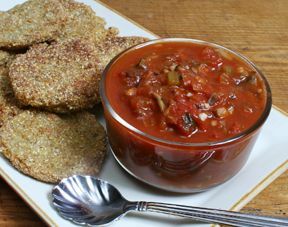 Lay slices of zucchini down each side of the bread, overlapping slightly. Arrange onion rings down the center. 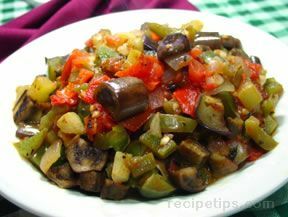 Top rings with chopped red pepper. 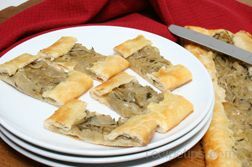 Sprinkle the top with olive oil and bake until puffed and deep brown, approximately 20 minutes. 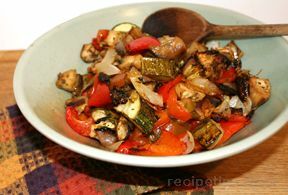 Optional - for more added flavor, grill the zucchini slices on a grill pan with olive oil. 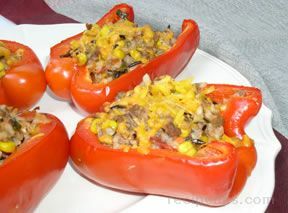 Sprinkle with salt and pepper and grill until grill marks show and the slices are crisp tender, approximatley 10 minutes. 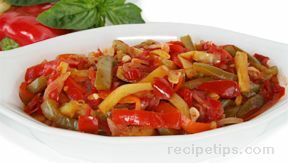 Do the same with the red pepper strips. 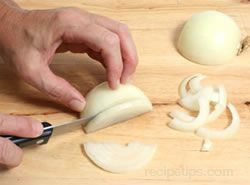 Lay on a paper towel to drain while preparing onions. 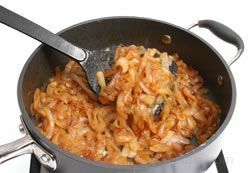 Place onions on a grill pan over medium heat. Sprinkle with 3 tablespoons of balsamic vinegar. 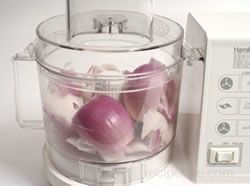 Cook onion for 5-8 minutes or until soft and tender. 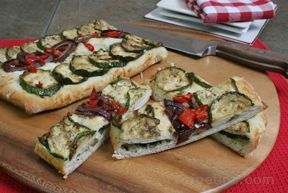 Top the flatbread as directed with the grilled zucchini, onion and red pepper. 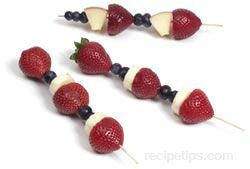 "We had a small get-together this weekend and I made these as one of the appetizers. Everyone thought they were delicious. I liked them also, but they were kind of a lot of work to make while our guests were there. Next time I will try to grill the zucchini and peppers ahead of time."